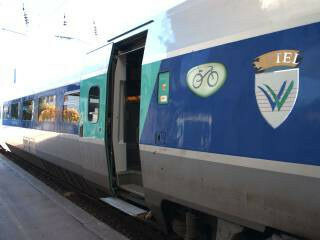 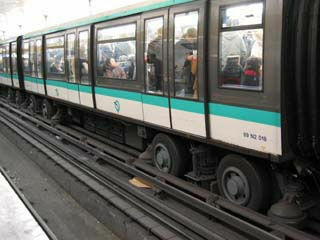 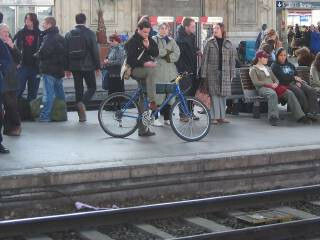 At the platforms in France, some bicycle are seen here and there. 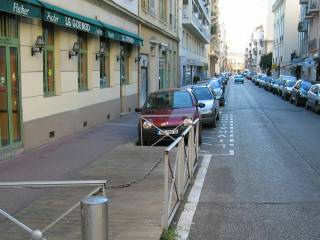 France is famous for the closely packed parallel parking of the roadside. 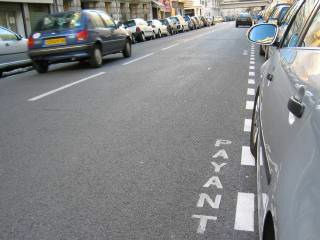 "PAYANT" means pay parking space, and parking ticket vending machines are seen on sidewalks. 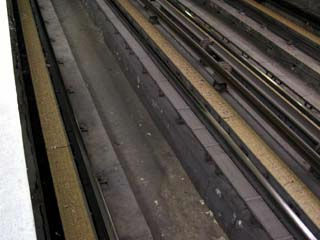 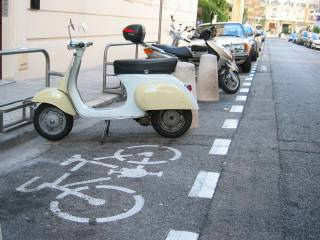 At the space for the two-wheeled vehicles, poles are built to prevent cars come in.